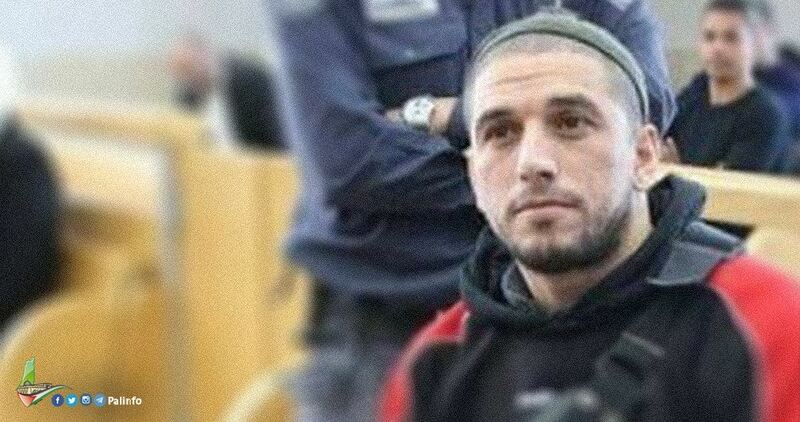 The Palestinian prisoner Amir Asaad, from Kafer Kana within the Green Line, has been engaged in an open-ended hunger strike for the 49th consecutive day. Palestinian committee for prisoners’ affairs affirmed that Assad, held in Israeli jails since 2012, declared hunger strike in protest against his difficult detention conditions in Gilboa prison. The committee expressed deep concern over the health condition of the disabled prisoner who is currently held in solitary confinement, demanding his immediate release. Asaad is one of many Palestinian prisoners with special needs in Israeli jails. He used to attend physical therapy sessions before his arrest. He had spent the past six years in Ramla prison’s hospital and his sentence is due to end in June 2018. 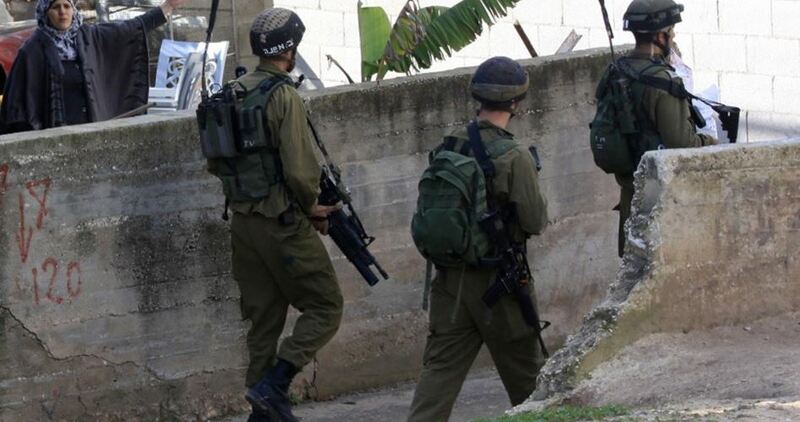 The Israeli Occupation Forces (IOF) launched on Wednesday evening a raid campaign into a number of Palestinian homes in Samu town, to the south of the southern West Bank province of al-Khalil. The PIC reporter affirmed that a group of Israeli military jeep stormed the town and forcibly closed local stores before preventing the residents’ movement. Several homes were violently stormed and searched during the raid, however; no arrests were reported. 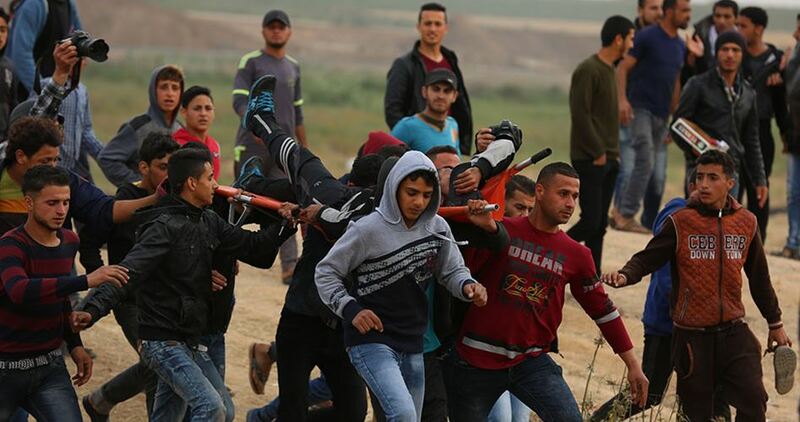 At least six Palestinians were injured on Wednesday after being attacked by the Israeli occupation forces (IOF) while taking part in the Great March of Return in Gaza. Medical sources reported that most of the injured suffered breathing difficulties as a result of inhaling teargas. The PIC reporters said that dozens of Palestinian youths participated in the events of the Great March of Return launched for the 6th day in a row along Gaza’s border with the 1948 occupied Palestinian territories. The protesters set tires on fire and raised Palestinian flags, while the IOF soldiers stationed behind the border fence responded by heavily firing live ammunition and teargas canisters. Hundreds of Jewish settlers stormed under military protection at dawn Thursday the area of Joseph’s Tomb, east of Nablus city, which provoked clashes with local young men. 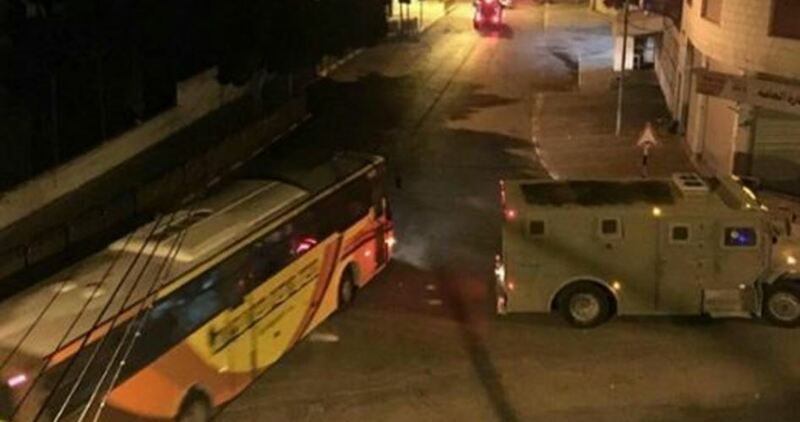 Eyewitnesses said that several Israeli buses carrying settlers escorted by military vehicles gathered after midnight near Beit Furik checkpoint, east of Nablus, and then entered the city through Amman street, where young men ambushed them and hurled stones at them. During their presence in the city, Israeli soldiers stormed a building in Balata town near the area of Joseph’s Tomb in Nablus and kidnapped a young man called Mas’oud al-Asmar. Local sources said that the clashes between young men and soldiers spread to other areas of Nablus, including the entrances to Balata refugee camp and al-Quds street. Several Palestinian citizens on Wednesday suffered injuries as they were trying to fend off scores of Jewish settlers and soldiers who infiltrated into their West Bank town, Beita, for alleged holiday rituals. Beita mayor Fu’aad Maali stated that a group of settlers escorted by soldiers entered the eastern area of Beita in Nablus and behaved provocatively towards local residents. Maali added that local young men confronted the settlers and soldiers and clashed with them. The mayor affirmed that the Israeli assault on Beita residents had been preceded recently by many violations committed by soldiers and settlers against them, including the closure of all entrances to their town with mounds of dirt and concrete blocks. 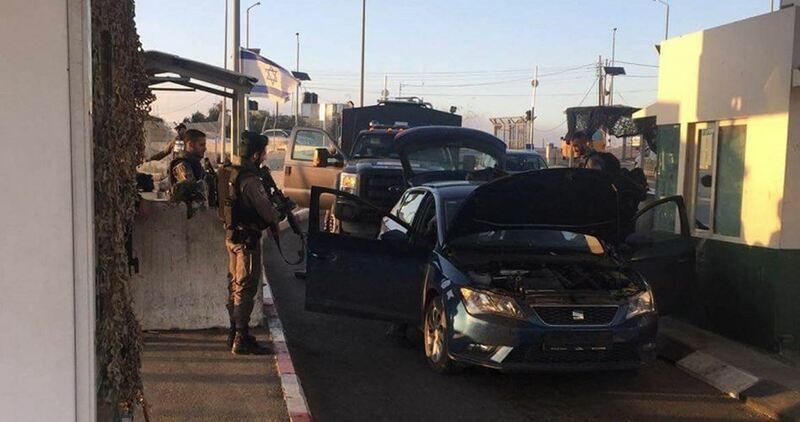 Israeli occupation forces (IOF) detained a Palestinian young man while trying to cross Abul Reesh road barrier near al-Ibrahimi mosque in al-Khalil city on Thursday. 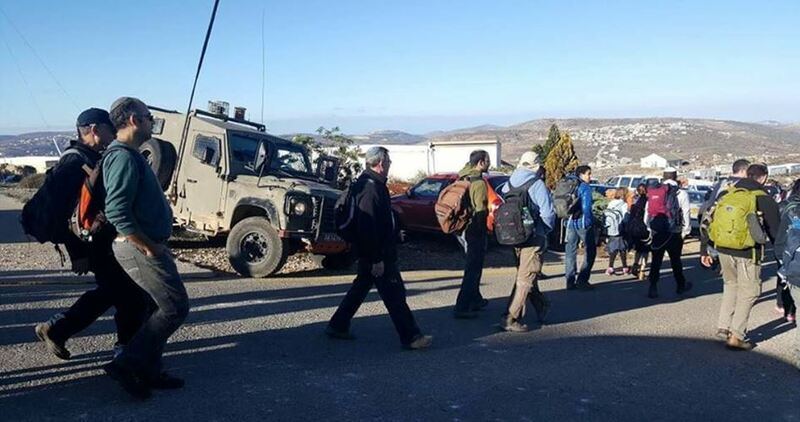 Eyewitnesses told the PIC reporter that IOF soldiers rounded up the youth, whose identity was not known yet, and took him to an army jeep claiming that he was carrying a knife and tried to stab soldiers. The Palestinian ministry of health in Gaza has called for urgent international assistance to meet the emergency situation in hospitals in the besieged Gaza Strip in the aftermath of the Israeli attack on protesters last Friday, Quds Press has reported. Nineteen Palestinian protesters in Gaza were killed by Israeli forces and more than 1,500 others wounded during the peaceful Great March of Return, which started on Palestine Land Day. Israeli rights group B’Tselem has launched a campaign calling for Israeli soldiers on the border fence with Gaza not to open fire on the Palestinian demonstrators. The campaign “sorry Commander, I cannot shoot,” will be advertised in newspapers and will urge soldiers to refuse to open fire on unarmed demonstrators. Last Friday events soldiers used live fire against unarmed demonstrators during the Great March of Return. Of at least 17 Palestinians killed that day, 12 were killed at the protests. Hundreds more were injured. B’Tselem said: “The military is not permitted to act as it sees fit, nor can Israel determine on its own what is permissible and what is not when dealing with demonstrators. Like all other countries, Israel’s actions are subject to the provisions of international law and the restrictions they impose on the use of weapons, and specifically the use of live fire. The use of live ammunition is blatantly unlawful in the case of soldiers firing from a great distance at demonstrators located on the other side of the fence that separates Israel from the Gaza Strip. Israeli settler groups have called on their supporters to take part in an assault on Al-Aqsa Mosque during Passover, Quds Net News has reported. Sources say that 381 illegal settlers raided Al-Aqsa Mosque yesterday under the heavy protection of the Israeli military police. Settlers wore their Talmudic uniform and performed mythical rituals inside its holy yards. The number of raids by settlers doubled during the Passover Jewish holiday. Israeli soldiers invaded, late on Wednesday at night, many residential tents, and barns, in the West Bank’s Northern Plains, while colonialist settlers wrote racist graffiti, and punctured tires, in occupied Jerusalem. 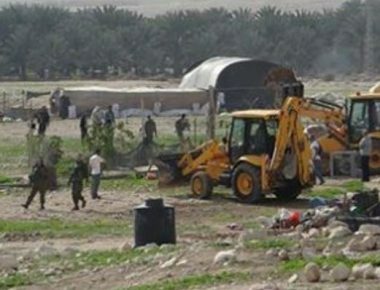 Dozens of soldiers invaded Khirbat Hamsa village, in the Northern Plains, before storming and searching residential tents used by local shepherds. The soldiers also invaded and searched several barns, owned by Mahmoud Abu Kabbash, in the same area. In related news, several fanatic Israeli settlers invaded Beit Hanina neighborhood, north of occupied Jerusalem, wrote racist graffiti on Palestinian cars, in addition to puncturing the tires of many cars.